We are professionals who have started this business with the intention of growing and establishing it for long-term. We wish to establish our reputation by offering a great treat at a family friendly price. The entire family will love Desert Snow. We offer services including birthday parties, corporate parties, events, festivals, fundraisers, family reunions, weddings, churches, schools, and so much more. 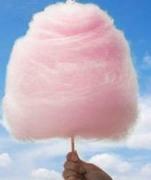 Gourmet Products... it's everything you want, the way you want it! "There is no better way to enjoy the Arizona heat without a gourmet Strawberry & Blueberry "Desert Snow" shaved ice cup. Desert Snow Shaved Ice is a reputable company that puts smiles on everyone's faces. 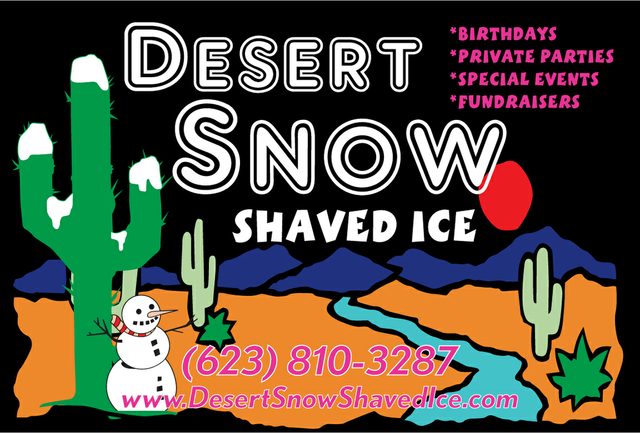 Serving up the coldest treats around the valley - I recommend Desert Snow Shaved Ice at any special event." "Desert Snow was a great addition to the Greenway Parc a Surprise One Fall Festival. They were there on time and quick to set up. 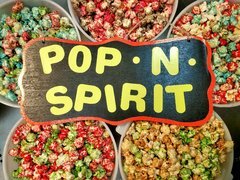 Their employees where very personable and the product was always bagged and available for all the Community members to enjoy. 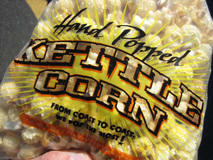 Desert Snow Kettle Corn was delicious and a very good fit for the Community and fit in their Budget. A win-win all the way around." "I cannot say enough AMAZING things about this company. We recently celebrated hospital week for Dignity Health of Arizona. 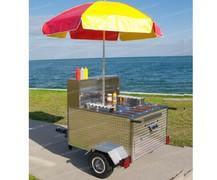 I reached out to Desert Snow to help me with Kettle Korn and Shaved Ice events at all three facilities. Not only were they able to help me but able to do this at all three places on the same day. They were early and set-up and ready to go prior to event start time. The display was great and the staff was proffesional. John was amazing to work with, great communication and so accommodating to my every need. Our employees were thrilled with both events. I look forward to using them again in the future. You will not be disappointed with this company, hands down one of the best :)"